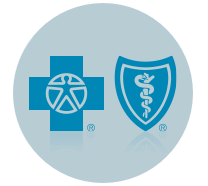 Three Cheers for Blue Cross Blue Shield Nebraska! As I reported in my last post healthcare costs in the U.S. are expected to start climbing rapidly in next few years as the economy continues to recover and insurance coverage expands. The Manhattan Institute’s Avik Roy has proposed a comprehensive new plan, ”Transforming Obamacare” to achieve, at the same time, both near-universal coverage and stringent cost control for healthcare. Mr. Roy emphasizes the need to regulate hospital system consolidation which is especially responsible for driving up the cost of healthcare. In Omaha NE, where I live, there are three hospital systems: Catholic Health Initiatives, the Nebraska Medical Center and the Methodist Hospital System. According to the insurance company, Blue Cross Blue Shield Nebraska (OWH 9/6/14), “CHI prices are 10 to 30 percent higher than for the Nebraska Medical Center and Methodist Hospital System.” BCBS insists that CHI cut its prices. As of September 1, CHI hospitals are out of network for BCBS and so patients who are insured by BCBS have to pay higher hospital rates. “We are ready and willing to meet with them when they propose an agreement that gets serious about the cost issue,” said Lee Handke, a senior vice-president for Blue Cross Blue Shield. For one hospital system to charge 30% more than two others for the same services is totally unacceptable. It means that customers for the other two systems are paying higher insurance costs in order to subsidize the system with the higher prices. In the Omaha market, Blue Cross has the clout and the will to force CHI to lower its prices. But many other communities may not be as fortunate. This entry was posted in Avik Roy, Blue Cross and Blue Shield, health care, health insurance, hospital system consolidation, Manhattan Institute, Omaha World Herald and tagged Blue Cross Blue Shield, health care, health care inflation, Health insurance, hospital system monopolies, jack heidel by jackheidel. Bookmark the permalink. Forgive me, Jack, if I don’t have the same reaction to the position taken by Blue Cross and Blue Shield of Nebraska concerning CHI. As of September 1st I am without a physician and staff that I have had for many years, including for the treatment of my cancer that resulted in the loss of a kidney. At this time, I have to make a decision that I shouldn’t have to make as to finding a new doctor. Of course, Obamacare also promised me that I could keep my doctor. But who knew that an insurance company would make the decision for me instead of Obamacare. And what guarantee is there, Jack, that once Blue Cross that it won’t allow its network of doctors to ratchet up their costs as part of a responding to a dwindling number of physicians in the available choices for health care consumers. What sometimes seems to be good on the surface doesn’t mean that it will remain so. Thanks for letting me know about this, Chuck. Blue Cross is making exceptions for hardship cases, especially involving cancer like yours. Go to the Blue Cross website and look for a waiver form. You should be able to continue with your current doctors for the time being. I predict that CHI will come to it senses and negotiate with Blue Cross in order for its patients to stay in network. I realize that when necessary changes are made in order to operate more efficiently, some people are going to be affected adversely. But I believe that situations like yours will be taken care of.